MANILA, Philippines - 'Bagyong Nina' (international name Nock-ten) has weakened into a severe tropical storm as it continues to move away from the country, weather bureau PAGASA announced in its 11:00 am update on Tuesday, December 27. At 10:00 am today, the center of Severe Tropical Storm Nina was estimated based on all available data at 440 km West of Iba, Zambales(15.0°N, 115.9°E). 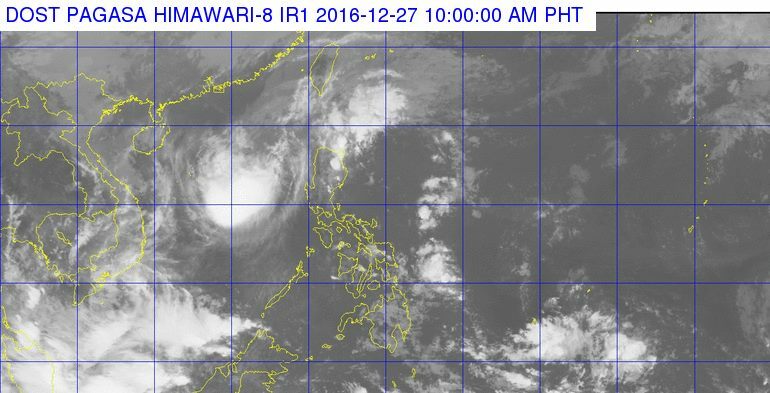 'Nina' has maximum sustained winds of up to 105 kph near the center and gustiness of up to 130 kph. It is forecast to move West Southwest at 17 kph. The storm is possible to exit Philippine Area of Responsibility (PAR) this evening. Sea travel is risky over the seaboards of Northern Luzon and the western seaboard of Central Luzon, PAGASA advised. The weather central also lifted tropical cyclone warning signal.